Raspberry Pi - a new generation's Spectrum? 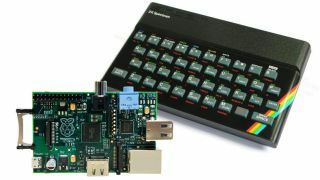 The engineer behind iconic British computer the ZX Spectrum has given his backing to the Raspberry Pi project, although he still feels that simplicity is the key to engaging young programmers. In a fascinating interview with the BBC, Richard Altwasser expresses his delight over Raspberry Pi – a tiny and ultra cheap computer that has been designed to capture the hearts and minds of a new generation of kids. "I'm an engineer so I'm delighted at the thought that people are going to be encouraged through the availability of the Raspberry Pi to learn to do programming," said Altwasser. The Sinclair ZX Spectrum was a computer that played a large part in a huge explosion in British programming talent in the 1980s, and remains one of the most fondly remembered early PCs, and this week celebrates its 30th anniversary. Part of the appeal of the Spectrum was how easy it was to write a program, and Altwasser believes that the increased power of Raspberry Pi compared to the Spectrum does not necessarily give it an advantage. "If I look at the capability of that machine - the graphics pixel rate is 140 times greater, the processor speed is 200 times greater, there's thousands of times more memory," added Altwasser. "So you would think the speed and power of that device compared with the ZX Spectrum gives it every possible advantage. "But my impression is that the attention span of young people over the last 30 years has probably not lengthened. "What is important is not the technical speed of the device but the speed with which a user can get their computer out of a box and type in their first programme."